PM sounds alarm over imminent deal, hours after Iranian defector reveals US negotiating team just parroting Iranian demands. "The dangerous accord which is being negotiated in Lausanne (Switzerland) confirms our concerns and even worse," Netanyahu said in remarks at a meeting of his cabinet broadcast on public radio. "Even as meetings proceed on this dangerous agreement, Iran's proxies in Yemen are overrunning large sections of that country and are attempting to seize control of the strategic Bab-el-Mandeb straits which would affect the naval balance and the global oil supply. The PM's statement comes after a close aid to Iranian President Hassan Rouhani defected while in Switzerland for talks - and revealed that the US negotiating team was essentially advocating on behalf of the Iranian regime's position. "The US negotiating team are mainly there to speak on Iran’s behalf with other members of the 5+1 countries and convince them of a deal," Amir Hossein Mottaghi said, shortly after defecting. The statement also comes after senior Israeli sources admitted Israel is preparing for the high likelihood that a "bad deal" will be forged despite its fierce opposition and the reservations of many members of the so-called P5+1 negotiating with Iran. "The agreement looks like a done deal, and it looks very bad, even though we still hope to see a surprising last-minute development," the source stated to Walla! News Sunday. "If an agreement is signed, the fight [against it] will initially go to the US Congress, but right now we are not certain that Congress could block the agreement." Republican senators have moved to enact legislation to limit the effect of an Iranian nuclear deal, rendering the agreement void upon US President Barack Obama stepping down from office. But even this could not be enough to prevent a deal, the official said. "The problem with this legislation is that for Obama, at worst, if he sees that he can not stop it - he will conduct negotiations to soften an agreement and empty it of content entirely," the official noted. He predicted as well that any chance of preventing or changing the terms of a deal will be rendered near-impossible once a document is drawn up. 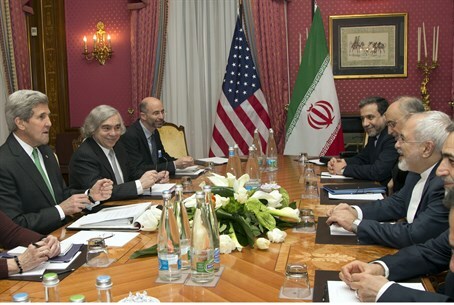 The diplomat remained pessimistic about the terms of a final agreement as well, noting that Obama pressed ahead with an interim agreement despite many reservations and even despite the International Atomic Energy Agency (IAEA) admitting that Iran is lying about its nuclear program and capabilities. He added that Jerusalem would push, either directly or indirectly, through international organizations or through the US, to ensure that Iran is punished for any violations it will likely make of a future agreement. In the meantime, the diplomat said, the defense establishment is already planning to strengthen military presence along Israel's borders. "You see how they operate in Syria, Iraq and now in Yemen," the source said. "It is clear that the day after an agreement [is made], their appetite will only increase." "We have to be ready for it, and at the same time continue to maintain a viable military force ahead of what's to come," he added.